Not all office relocations are to a new city. Often, a major part in the life cycle of a successful small to medium-sized enterprise will be an expansion of the staff, and your small cramped office might not suffice for a burgeoning cohort of employees. The logical move is to a new bigger office in your city, be it down the road or in another suburb. With our 5 tips we will help you make this big move for your business as smooth as possible. 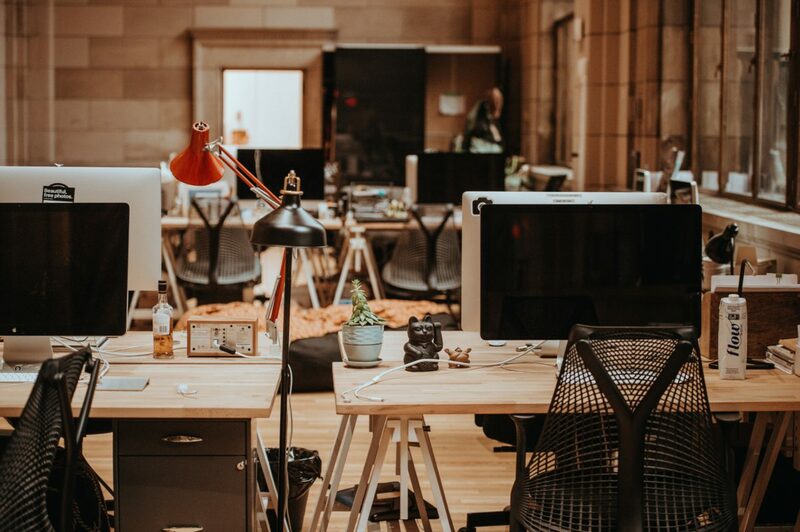 The period of packing up and relocating your office will effectively be down-time for your business, with no work being done whilst you pack up your equipment and sort out the logistics. Many businesses realise this so think that the best thing to do is to leave the relocation process to the last minute, meaning the least amount of downtime possible for their employees. Do not be tempted to fall into this flawed way of thinking! Leaving everything to the last minute will lead to a rushed relocation, increasing the chance of accidents during the move. Not only this, if your business has never moved before there may be components of the move that you overlook, therefore making the process longer than imagined which could lead to you missing your moving out deadline. The fine your landlord gives you and your disorganised move will lead to a costlier move, showing the flawed logic of leaving the move to the last minute. We recommend planning your move at least 2 months in advance for a short distance relocation. A big factor for businesses when moving offices is the desire to keep costs as low as possible. This desire can lead you to consider a move to an office in the outskirts of town, an hour or more away from your current office. A major consideration though is staff retention, and upping their commute time from 30 minutes to 90 minutes may lead your staff that you have invested so much in to look for a new role closer to home. If your new office is located in an area with a small pool of talent, it may be hard to replace these staff with the kind of quality that your business needs. Make sure that quality of life for staff is added to your list of considerations. For a short distance move, there may be a temptation to cut costs and just do the move yourself. At the end of the day, you are only moving nearby, what’s the worst that can happen? Well quite a lot actually. Using your staff rather than professionals will obviously lead to a higher chance of your expensive equipment being mishandled, but even worse than this this chance of injury for your inexperienced staff. If an injury happens under your watch, you could be legally liable for their treatment, and may lose trust within your staff. The cost savings are not worth the chance of a PR, legal or financial nightmare. When moving offices, it is practically impossible to guarantee that nothing gets damaged or lost during the move. You may believe that in only moving a short distance there is less chance of anything happening to your equipment, but when replacing your equipment could cost your business an arm and a leg, why risk it? You can prepare for this scenario with an insurance policy, saving your business both financially in the event of something happening, as well as the headache of replacing damaged goods. Even though your relocation isn’t going to be far, you still need to let the world now that you have move. In this modern age, most businesses have an online presence, including your business details on search engines like Google. It will not be enough to just update your address on your website, you need to make sure you don’t overlook updating your business details everywhere where your customers or clients can search for them. Not doing this can lead you to lose potential business, and makes your business look unprofessional. Not only this, but it will also affect your search engine optimisation and lead to even less potential custom. Business Relocations is New Zealand’s top office moving company. Our team has over seven decades of combined relocation experience. With our experience we understand just what is needed to move your office as smoothly and safely as possible. No move will intimidate us, and the results speak for themselves; you can see what our previous customers have said about our services on the testimonials page.